'Non', ou A Vã Glória de Mandar / No, or the Vain Glory of Command. 1990. Cast: Luis Miguel Cintra, Diogo Doria, Miguel Guilherme, Luis Lucas, Carlos Gomes, Antonio S. Lopes, Mateus Lorena, Lola Forner, Raul Fraire, Ruy de Carvalho, Teresa Menezes. 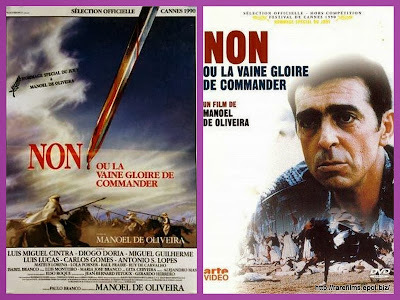 Download 'Non', ou A Va Gloria de Mandar / No, or the Vain Glory of Command. / 'Non', ou A Va Gloria de Mandar / No, or the Vain Glory of Command.